Zarate (left) pushed hard by Robles (right). ONTARIO, California – Junior featherweight Isaac Zarate had to dig deep to win a close, but unpopular, eight-round unanimous decision over Ramiro Robles on Friday night. It was a crossroads clash between two southpaws. Zarate entered the bout unbeaten in his previous three fights, while Robles had lost to several top fighters at 122 and 126 pounds, including ‘JoJo’ Diaz, Diego De La Hoya, Oscar Negrete, and Mark Magsayo. Zarate, who trains alongside WBA junior featherweight titleholder Danny Roman, was the more polished fighter of the two. Zarate was mostly stationary, making it easy for Robles to connect when they exchanged combinations. In the middle rounds, Robles landed numerous counter or lead left hands, which caused swelling around Zarate’s right eye. Going into the final two rounds, the fight hung in the balance, but Zarate, who resides in the Los Angeles suburb of San Pedro, was the busier and more accurate puncher. Scores were 77-75, 77-75, and 78-74 for Zarate and those numbers were met with a cascade of boos inside the Doubletree Hotel. Robles, who resides in Guanajuato, Mexico, drops to 15-8-1, 8 KOs. Lightweight Manuel Mendez won a close eight-round unanimous decision over the previously unbeaten Gilberto Espinoza. Espinoza used angles to connect while avoiding Mendez’s attacks in the first half. Mendez was busier, but he had a hard time landing anything significant on target. Sensing he was down in the fight, Mendez, who is trained by Joel Diaz, let his hands go more during the final two rounds and it paid off. 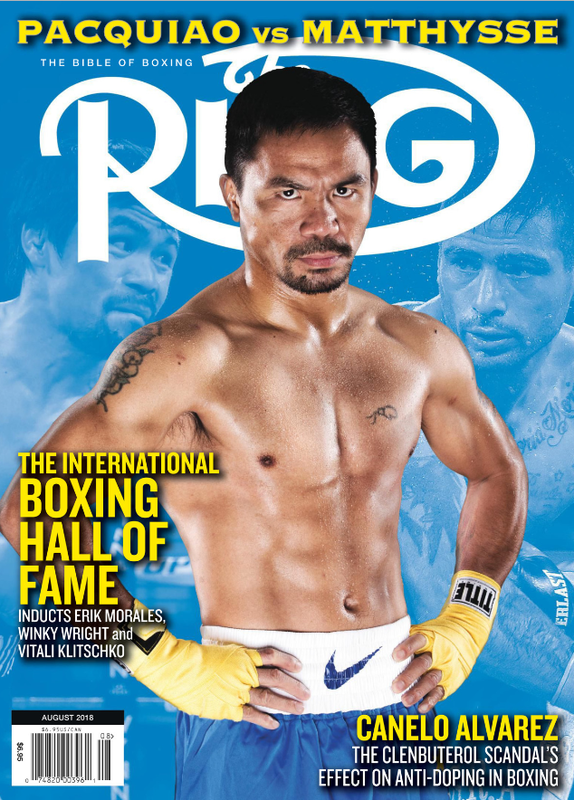 He pinned Espinoza against the ropes and landed several flush right hands. Scores were 79-73, 78-74, and 77-75 for Mendez who improves to 16-2-3, 11 KOs. Espinoza suffers his first loss as a pro and falls to 9-1, 5 KOs. 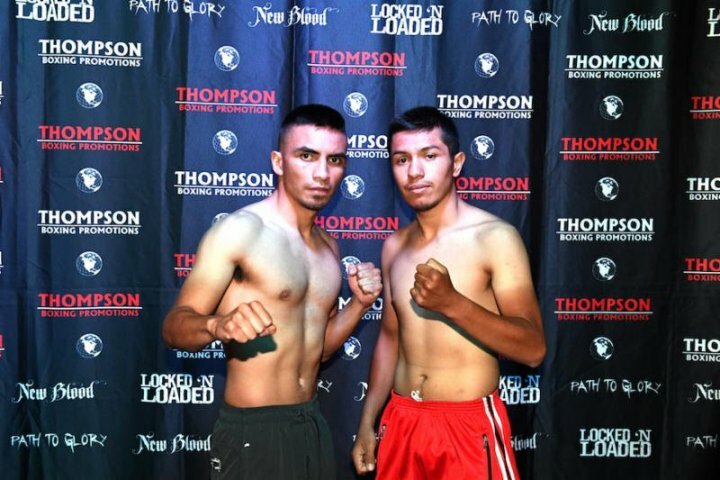 Bantamweight Saul Sanchez (9-0, 5 KOs), one of Thompson Boxing Promotions’ top prospects, dropped Leonardo Torres (4-12, 1 KO) twice before ending matters at 2:24 of the third round. Junior featherweight Brandon Valdes (11-0, 6 KOs) won a one-sided decision over Jose Naranjo (3-9-2, 1 KO). All three judges scored the bout for the 19-year-old Valdes, who was fighting for the first time outside of Columbia. Lightweight George Acosta dropped Juan Alberto Castillo (1-1, 1 KO) in the first round of a scheduled four en route to a unanimous decision win. Scores were 40-35, 40-35, and 39-36 for Acosta, who goes to 6-0, 1 KO. In featherweight action, Anthony Chavez (6-0, 2 KOs) stopped Josafath Vazquez (5-4, 3 KOs) at 1:45 of the opening round.